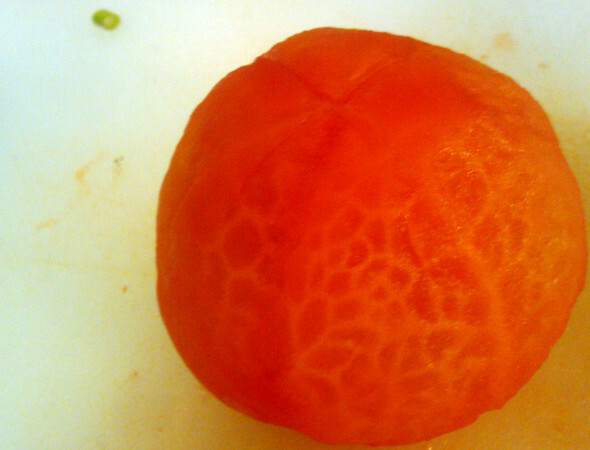 A peeled tomato. I thought it was interesting the way the veins in the tomato showed through the flesh. Also? First and last photo taking opportunity of yesterday.